i have a server in my garage. It’s not a super beefy machine, but i use it as a NAS, postgres/http server and a few other things. i’ve had it for a while and while i wouldn’t say it’s a key element of my home network, it’s damn handy to keep around. Still, it’s not quite worth fishing a 30m of cat6 line through a 60 year old house, so i use wifi to connect to it. Yeah, i’m not so sure about that anymore. Now, let me make a brief aside to discuss my home network. Normally, when i get a new access point, i simply plug it into the protected net’s hub, open up the admin access HTTP page, do a bit of local configuration for the device, and we’re good to go, super easy-peasy. This is not the case with Unifi. Unifi first wants… no, let me clarify… demands you download their java based controller app. This sets up a local connection running on port “8443” (Oh, hey, that’s the HTTPS port! Better hope you don’t run a secure server on whatever machine you’re running this app on because otherwise you’re going to be very sad.). Of course, the Controller app doesn’t provide any config options to change the port or really do anything other than open a browser to connect, which i guess is fine. Ok, so let me connect up the access point. i grab a few extra cat5 cables (because none were in the box), and pass the connection through the PoE connector running on a 12″ power cord. i was told that as a device comes online it would appear in the Controller listing. This, appears not to be true. i unplug, and replug, checking connections. Nope. i open my protected router’s config panel and see the new Unifi device’s IP4 address. Still nothing in the controller. i ping the access point, Nothing in the controller. i port scan the access point, oh, port 22 is open. Google says the user and password is “ubnt” (yay! Security!) and yep, that works just fine. Still nothing in the controller app, though. i use the “device discovery” tool, which eventually finds the device and lets me locate it. Absolutely zilch in the controller app. Out of pure curiosity and a bit of needling from a colleague, i connect my computer directly to the AP. Hey! There it is! Only i can’t adopt it because who the hell knows why? i have no doubt that these are amazing in enterprise configurations. i’m sure that if you buy enough Unifi gear, that things “just work” kind of like how you need to buy all of Apple’s stuff for all of Apple’s stuff to work together magically. (i consider this “tech tautology”.) i’m also reminded of one colleague noting that he was able to “adopt” unifi gear that was being installed into neighbor’s houses, so guessing that things work REALLY WELL if you’re doing your initial setup in a Faraday cage, or with no questionable parties sitting within 230 feet of you. But for me? yeah, no. This thing’s going back. 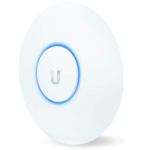 As for my crappy current access point that drops on occasion? i can solve that for about $25. Recently, i grabbed my twitter data, mostly because i could. Reading through it, i kinda remembered how ephemeral it all is. So, again because i can, allow me to indulge myself with what i think are the best tweets i came up with (there aren’t many). Information wants to be Free! Reason wants one and a half points with a low adjustable percentage rate. Days like today bring out a certain something in everyone. Usually, it’s the collective intelligence of a Ritz cracker. For years, scientists and philosophers have wondered what separates us from the lower animals. It’s easy, really. We have microwave popcorn. i have become the marcel marceau of twittering. What kind of bed time story must Billy Mays read to his kids? i don’t want to change the world. That’s a mighty big diaper. Does a holistic acupuncturist try to make you feel better by putting needles in pets and furniture? If furniture based cosplay is not a thing, what exactly is an “occasional table”? Java, write once, run everywhere. Oh god, it’s catching up. Run faster!